Are you still watching Gardener’s World? OK, so before I go any further… This isn’t a post bashing a much loved television programme, simply a comment on a realisation I had about two or three weeks ago. 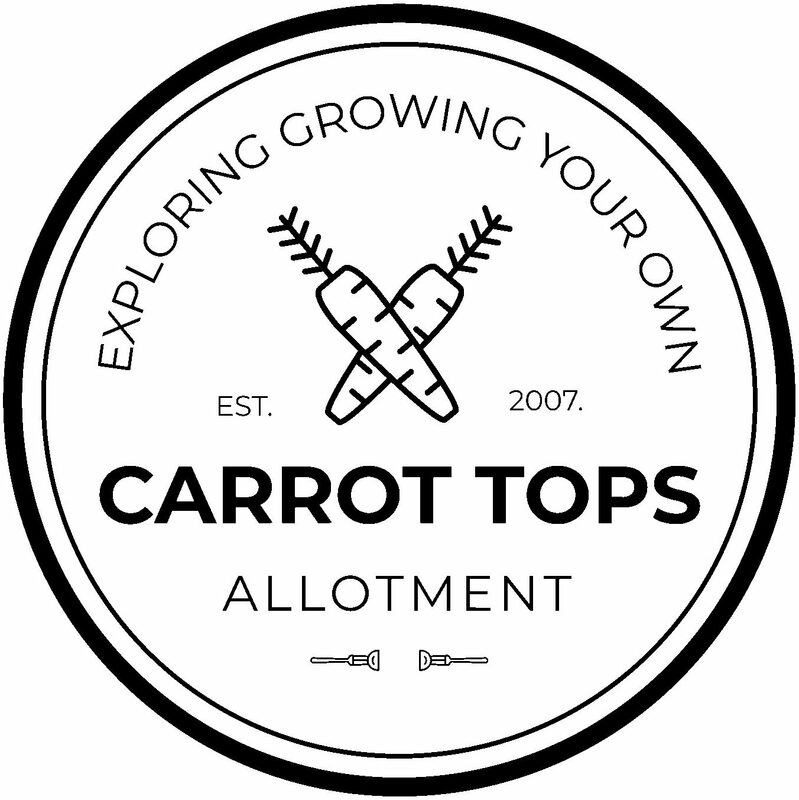 My humble Carrot Tops blog has been in existence for around six or seven years now, however I’ve only been actively posting on a semi regular basis over the last two, after I made the decision one New Year’s Eve to give Carrot Tops a proper go. It was a New Year’s resolution that I actually took seriously – and I’m glad I did. I’ve not only learnt a lot about growing my own from a wealth of other garden bloggers out there, but also a lot about blogging and generally getting involved online. If I’m honest, I could do a lot more reading and a lot more writing. A couple of weeks ago, I found myself in my usual semi-hungover stupor of a Sunday morning and Gardener’s World was on the box – I said to myself, “I really should start watching this, as my civic duty as a gardener and as a garden blogger“…. Then within about ten minutes or so, I switched it off. I was bored, and if I’m honest, I found myself a little annoyed at how the world of gardening and gardeners were being portrayed. Quite frankly, (and this is my opinion, and at this point, my opinion only), I found Gardener’s World a little bit on the tired side and did nothing to get future generations involved. I guess this is what this post (or moan) is about – mainstream gardening media and their efforts to get the younger generations involved. Do you agree with the statement that Gardener’s World leads people’s perception of what people who like to garden are like? Yes or no, I’d love to know your thoughts. When you mention to people that you like to garden or that you have an allotment, there is a sense of justification involved and Tom Smart’s article in the Guardian earlier this year touched on this familiar experience – check it out here. I remember interviewing Joe Swift at an event at St Helier Hospital in Epsom during my journalist days – and we both came to the conclusion that there is absolutely no downside to gardening in any shape or form – which begs the question, why isn’t there more of an emphasis on gardening, running an allotment or even tending to a window box in the mainstream? In my opinion, tending to a garden is vital for the environment and the future of our planet. So getting youngsters involved in gardening is probably one of the initial key efforts we can do to improve our habitat. When you garden, you take on a different lifestyle perspective because gardening gets you more involved in your own environment. Naturally, you litter less, recycle more and have the problem of emissions in the back of your mind. I’ve discovered a number of young/millennial gardeners (Grow Like Grandad, Life at No. 27, Sharpen Your Spades…etc to name a few) whom I’m sure possess the more contemporary qualities to make Gardener’s World more appealing for tomorrow’s gardeners, but no less topical. Just as Jamie Oliver did with cooking in the early thousands – when you look back, his recipes were simple, easy and his youthful and energetic style of presenting appealed to an audience of the same age. James Corden even told Gordon Ramsay once that Jamie Oliver made cooking cool again. You only have to look on Instagram to see the swathes of people in their twenties and thirties who love to garden, grow their own and get their hands dirty. At this point in the point in the post, I know what you’re thinking – some Gardener’s World viewers might not have access to the internet or social media. I accept that may be true, but I do think the program does need to entice a more youthful audience in order the ensure its survival. Do you agree? And yes, I don’t need to watch Gardener’s World to acquire information about gardening – but alas, it’s too much of a flag ship and one of the only programmes about gardening on the television. Anyway – I hope I haven’t offended any loyal Gardener’s World viewers out there along with the makers of a much loved programme. Perhaps I need to give it more than ten minutes? I’d love to know your opinions, especially ones that are contrary to mine. Do you still watch Gardener’s World? If so, why? I’m really not sure you’ve given it a fair whack, there. 10 mins is just one segment of an episode, and they do vary in focus and quality throughout the hour-long show. I think these days they’ve got a good mix of traditional and contemporary, practical advice and garden design features. Monty’s presenting style is one of my favourites – he always informs, rather than performs, which a couple of the other presenters tend towards instead – and you also get to see and hear from inspirational gardeners and growers from all over the country. As for leading the perception of what gardeners are like? Well, it’s a show for gardeners, watched mainly by gardeners – not necessarily the sort of thing a non-gardener is going to bung on for light entertainment, a la Strictly or I’m a Celeb etc. – and most gardeners already know what gardeners are like. So, er, no, not really. Thanks for the comment 🙂 I think you’re right – perhaps I didn’t give it fair wack, but in all honesty I was just flicking through the channels when I switched it on – any marketing aimed at attracting more viewers as a whole just isn’t there. You’re right, it’s a programme for gardeners watched by gardeners… But shouldn’t it be for non-gardeners as well? To at least get them interested? See my point Re: Jamie Oliver and cooking, before him it was the likes of Delia Smith and Gary Rhodes who played to two very distinct audiences. Well, cooking’s a very different kettle of fish, because everyone has to eat every day and most people enjoy eating, so they can relate to food on a basic level. That gave the likes of Jamie or Gary a chance to engage with a large audience whilst changing the way cookery was portrayed and encouraging more people to cook their own food. And the likes of Masterchef demonstrates how amateurs can learn amazing skills in a relatively short period of time, in a format that’s east to understand and very compelling – who doesn’t love a knock-out competition based on one of your favourite subjects? But they’ve tried the light entertainment, gardening-as-competition format with the Great Allotment Challenge, and it folded after two series, presumably because the audience just wasn’t there. And there are the makeover shows like Love Your Garden or Garden Rescue, which can showcase some great ideas from time to time, but they focus on spending money rather than getting involved, and the quick-fix to make it pretty for the cameras, rather than much in the way of longer-term horticultural knowledge. Anyhow, I don’t disagree with you at all, it would be fantastic to get more people into gardening, so they can appreciate the health and well-being benefits and we can all learn more about growing their own food. I think GW does play a role in that, with features on community and therapeutic gardens, and Monty’s regular slots working on his veg garden. Hopefully a few people along the way will have been inspired to get out and get involved in something gardening-related as a result. Challenge accepted! I will give it more than ten minutes, and who knows, I might even write a post extolling the riches of GW! 🙂 As you’ve probably seen, something that keeps coming up is that GW doesn’t need to change but needs to reach out in other mediums like YouTube and social media – because that’s where a younger audience is. Someone said was that there’s not enough gardening on television full stop. I think the Allotment Challenge wasn’t successful because gardening really doesn’t have a competitive nature – they tried to bake off allotmenting and it sunk big time.